Marlie and Me: Halloween 2010: A Yabba Dabba Good Time! Matt Lauer: Here come the Petites and it looks like they are dressed as our favorite modern Stoneage family...The Flintstones! Al Roker: That's right, Matt. 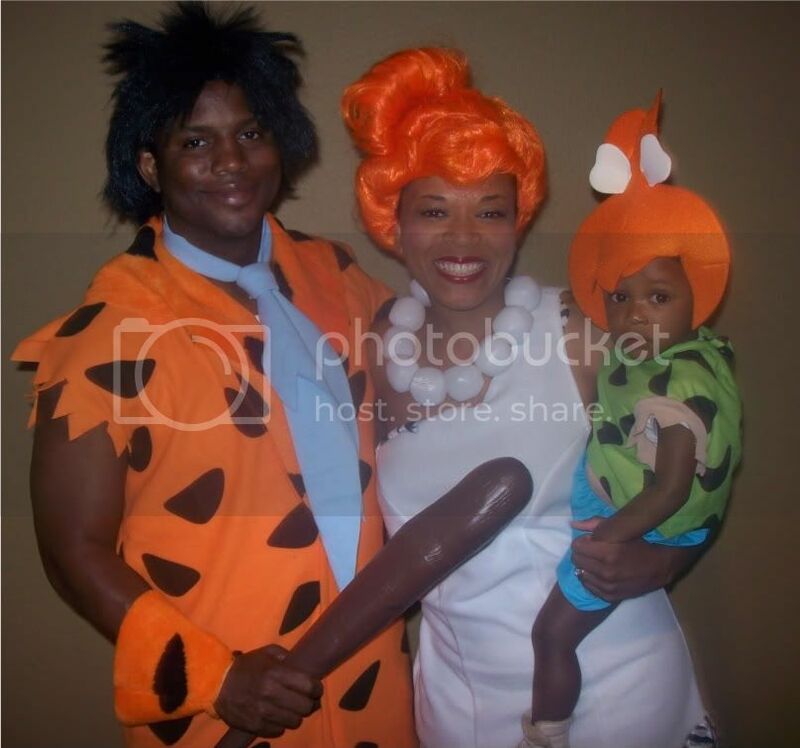 They are wearing Fred, Wilma, and baby Pebbles costumes. Adorable! It's also the 50th anniversary of the cartoon, so this is a very timely choice. Matt Lauer: It's a perfect tribute. This family took a page right out of history and left an indelible impression our hearts. Al Roker: I Yabba Dabba second that emotion! I'm participating in the SITS Halloween Celebration. They are giving away a Canon Rebel T2i camera...I desperately want to win this bad boy! Ok, that is just ADORABLE! I'm DYING over your babies "hair" that you put on. So, SO cute! Way to just go with your bad selves and get all dressed up and into the spirit of it all. Can't say the same for myself, but i do enjoy seeing your happy family pic. You look great! I love the commentary. Those costumes are too cool! I've never done a family costume theme before. It never even occurred to me. Of course, the teens would not have anything to do with such an idea, but Miss V is too young to defend herself...I mean, be embarrassed by her parents. Great costumes and a wonderful family picture! You guys look fabulous! Did you enter any contests? I am sure you guys would have won the prize!